Well there is a great deal going on right now so I had to do it. It will be here next week, then its build time. It's a very nice bike, I really like mine. I have 2 08's but one is a expert the other is a pro.This will replace the Pro. They are running some kind of promotional deal on them so it was a good time to buy. I have heard it is much nicer then the previous version so we will see. My SL is indeed much nicer than my expert from last year. It's noticeably stiffer. Looks nice, but I just can't see myself spending money on a once/year upgrade cadence. Yes it is the SL. They also come in white, but not on this deal. I like this one better anyway. I will be able to sell the 2008 for what I paid for this. 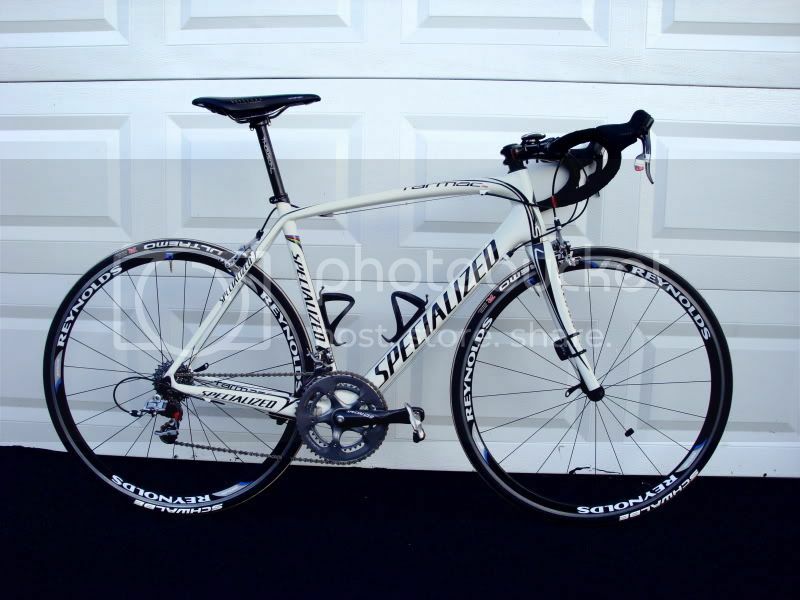 The 08 has the Specialized crank which I dont like so it goeswith the frame and fork. Hey WR, its yer size too. The Pro-Mo on this is $1250 right now. The SL2 is something like $2900. I liked the Expert so much I just cant see spending that much. Check with your dealer, I dont think its just a local thing. Sean, was this a team deal? Or something that anyone can get? I believe it is for racers, so you can get it too. If your local dealer cant do it I know mine will. Ask your dealer about the special promo on the Pro SL frame buy. My dealer said they had to call to get it done. I'll give my LBS a call. I switched teams this year and we might be getting a Felt deal, but I've coveted a Tarmac for awhile now. Thanks for the info. Hey, it's no Cervelo, but it's pretty schwag. Might help if you swapped out the pink cables. Oh, I must have you confused with someone else then. Sorry! The SL frame feels the same to me as the SL2...i just got mine about a week ago...leaps and bounds ahead of the 08 expert i was on. 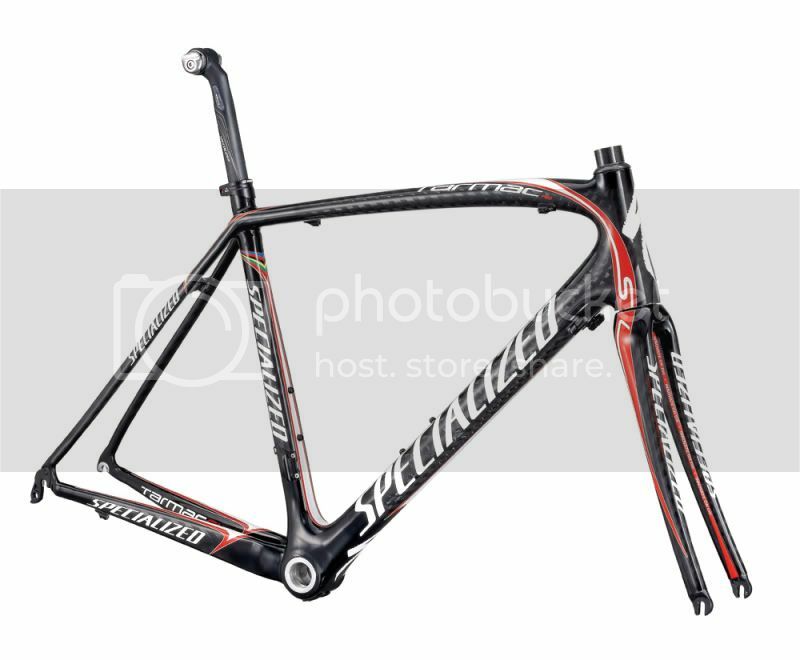 what's with the ugly looking specialized seatpost? reminds me of those cheap vintage ones... the mechanism at the top looks heavy. is it for noobs who find adjusting the thomspon elite style too difficult? It's not heavy, but I didn't really like the post and it didn't fit the rails on my saddle so I swapped it onto my other bike.